It was very easy to make, although I had to double the cooking time and still skim off some excess liquid in order for it to thicken. (Our hob is electric and setting 3 wasn’t quite enough to boil it properly but 4 was too much so I had to keep switching between the two.) I ended up with 4 good sized jars of chutney from 1kg of tomatoes, which I was quite pleased with. Now all we have to do is keep it in a cool, dark place for a few months (I’m thinking under the stairs!) and then we can sample it. I can’t wait, it smelled delicious, like it will make a good accompaniment for cheese. Unfortunately, on Wednesday night we saw that our own tomatoes had developed blight. This was really disappointing as none had yet ripened. I hastily picked all of the unaffected tomatoes and have popped them in the conservatory to see if a few will ripen. If not I will be making green tomato chutney. 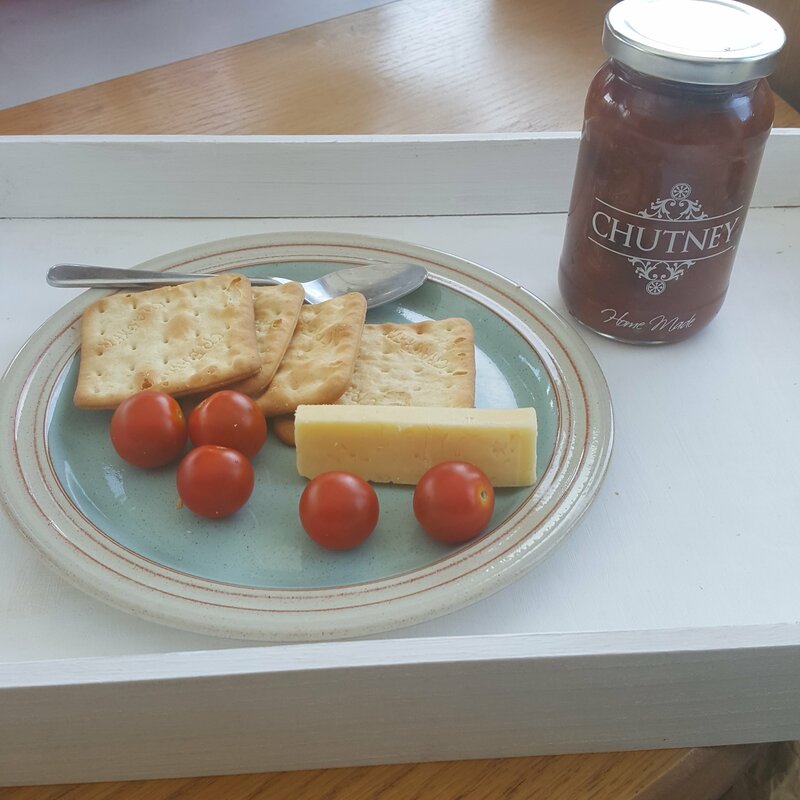 I’ve made this before, but I have an awful lot of tomatoes (possibly 5kg or more) and I want to vary the chutney flavours. I have a book about preserving which has some lovely ideas, but I’d love to have more suggestions. This is where you can help me! What would you put in a green tomato chutney? Have you tried any particularly delicious combinations? 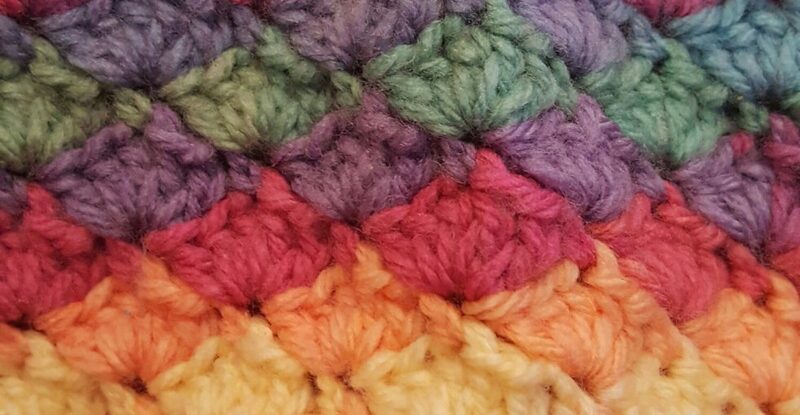 I could do with some inspiration so please leave a comment if you have any ideas. Thank you! I had a green tomato chutney once that was sweet… I’m not sure what the recipe for it would be, but it also had golden raisins! Ooh yum, I agree that sultanas or raisins are an essential chutney ingredient. Thanks, me too. I suspect we will lose some as they ripen if they have been infected with blight, but I’m sure we will have enough for some more chutney! Monty Don said last year was a bad year for tomatoes, so I didn’t bother this year either…however, plums or rhubarb do go very well with green tomatoes in chutney, also ginger, depending on how you feel about it.. If my tomatoes ever ripen I’ll give this a go. Otherwise I’ll be joining you in the green tomato gang! Fingers crossed! I’ve a feeling the green tomato gang is a popular one this year. My tomatoe plants aren’t looking terribly happy at all. I’m guessing that it’s the silly weather. HOT hot hot, then raining and cold. Then hot again. Then WINDY like it’s going out of fashion, followed by rain… hot, cold. Hot, cold. Dry, Rain. Wind …. on and on. It just hasn’t been able to make it’s mind up. Consequently many of my plants have suffered. Oh… and I won’t even bother to mention the bally greedy snails and slugs that have invaded my garden this year!! GRRRR! Goodness only knows where they’ve come from! But … Before next years planting, I’m investing in some serious rolls of copper tape and planting everything in big pots. I’ll wrap the copper tape around the pots and then see the little blighters at their own game! Greedy little *uggers. Congratulations on the chutney. I’ve a feeling that nights in front of the TV are going to be accompanied by a tray of cheese, biscuits and chutney, over the winter! Thank you, our slugs weren’t so keen on crushed eggshells either! But yes, poor tomatoes, they don’t know whether they’re coming or going. Thank you for enjoying my blog, but I was surprise to see the word ”chutney.” I read it’s a sauce from India. It sure looks good. Unfortunately, I can’t help with any ideas. There seems to be several ways of making chutney. Take care. Thanks, it’s very popular here as a way of preserving when you’ve got a glut of tomatoes (usually, but there are loads of possible ingredients). By Christmas it has matured perfectly and serves up nicely with cold meats and cheeses. I’m a sucker for jams and chutneys and I agree that unless I can source freebie/cheap ingredients it’s not cost or time efficient to make my own. Thanks, they are starting to ripen. Chutney is a funny one, I don’t like the texture of some home made ones. Hoping I like mine! We use green tomatoes at the end of the summer to make chow chow. It pairs well as a steak topping or on mashed potatoes. It’s probably a regional thing. lol I want to try some with cream cheese to make a dip this coming year. Thanks, that sounds interesting, I’ve never heard of chow chow!